The Community Engagement Core is collaborating with Dr. Staci Simonich (Core D) and the Swinomish Indian Tribal Community to begin an ambient air sampling project. Dr. Simonich and three trainees, Drs. Cleo Davie-Martin, Courtney Roper (Training grant) and Amber Kramer returned to La Conner with Dr. Rohlman (CEC) to meet again with Mr. Larry Campbell for a second cultural tour. 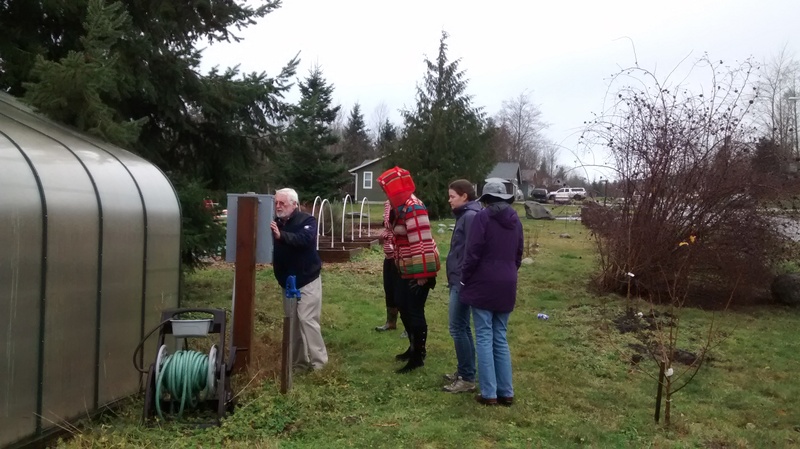 Following the tour, SRP researchers met with Swinomish staff to deploy two high-volume air quality monitors. The deployment included hands-on training. The training was recorded for incoming Swinomish technicians that will be collaborating on the project. Sampling will continue over the course of this year. Drs. Simonich, Rohlman and Harding, along with SRP trainees Dr. Cleo Davie-Martin and Amber Kramer met with Dr. Tony Basabe (Air Quality Analyst) at the Swinomish Indian Tribal Community to evaluate two sites that would hold high-volume air samplers. These samplers would collect particulate matter (PM2.5) and the particulate matter can also be assessed for the types of polycyclic aromatic hydrocarbons (PAHs). See our video here about PAHs. The community is concerned about air quality as a result of their proximity to two oil refineries. Our collaborators at Swinomish were familiar with the study performed with the Confederated Tribes of the Umatilla Indian Reservation (Lafontaine et al. 2015). One sampler will be placed at the Northwest Indian College site within the reservation, and a second one will be placed on the grounds of the Swinomish Indian Casino and Lodge. During their visit, co-investigator and Historical Preservation Officer, Larry Campbell gave them a cultural tour of the Swinomish reservation including a brief history of tribe, their land, their culture and their beliefs. The air quality monitors will be placed in April 2016 and sampling will continue over the course of this year. 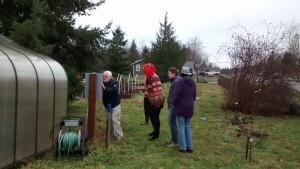 (From left to right) Dr. Basabe shows the site where a air sampler will be placed at the Northwest Indian College to Dr. Simonich (Core D) and her post-doc, Dr. Cleo Davie-Martin and Dr. Harding (Core E). Lafontaine S, Schrlau J, Butler J, Jia Y, Harper B, Harris S, et al. 2015. Relative influence of trans-pacific and regional atmospheric transport of pahs in the pacific northwest, u.S. Environmental science & technology.